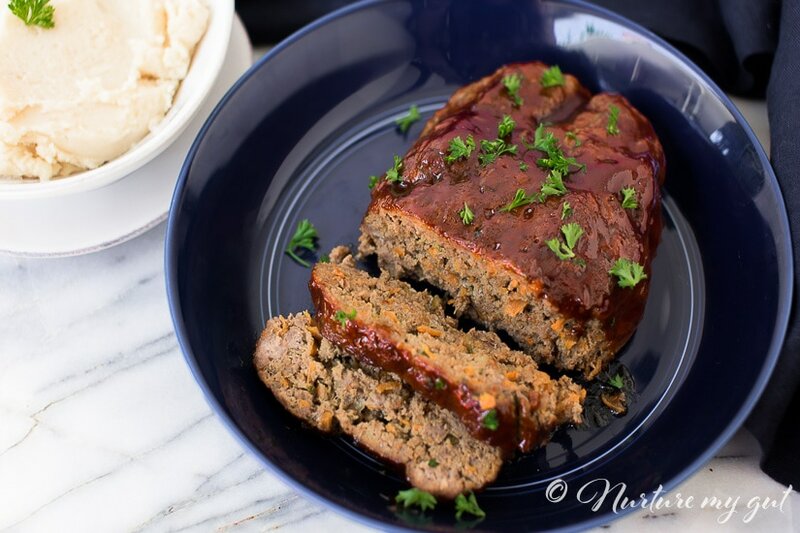 Instant Pot Gluten Free BBQ Meatloaf and Mashed Potatoes-a delicious home cooked meal that the whole family will love! 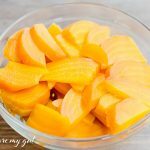 Easily made in the Instant Pot with less fuss and great flavor! 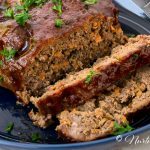 This meatloaf is stuffed with grated zucchini and carrots for added nourishment, flavor and goodness! Plus, it’s fork tender and pairs perfectly with these creamy mashed potatoes! 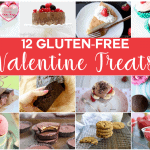 Completely gluten free and grain free. 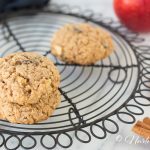 First off, let me tell you that this recipe is a huge hit with kids and adults! 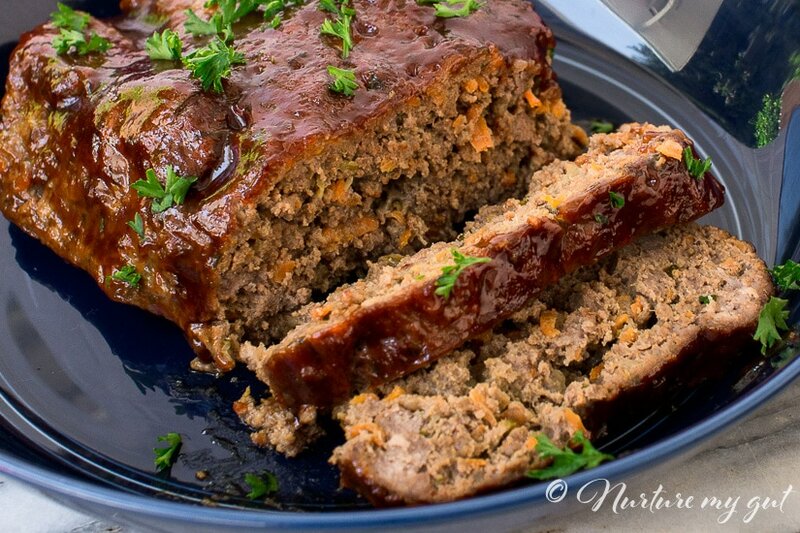 This gluten free meatloaf is so flavorful and the ultimate comfort food! It is full of veggies and protein. 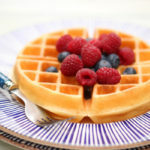 I served this with a small side salad and cup of fruit for a perfectly balanced dinner! Everyone cleaned their plates! 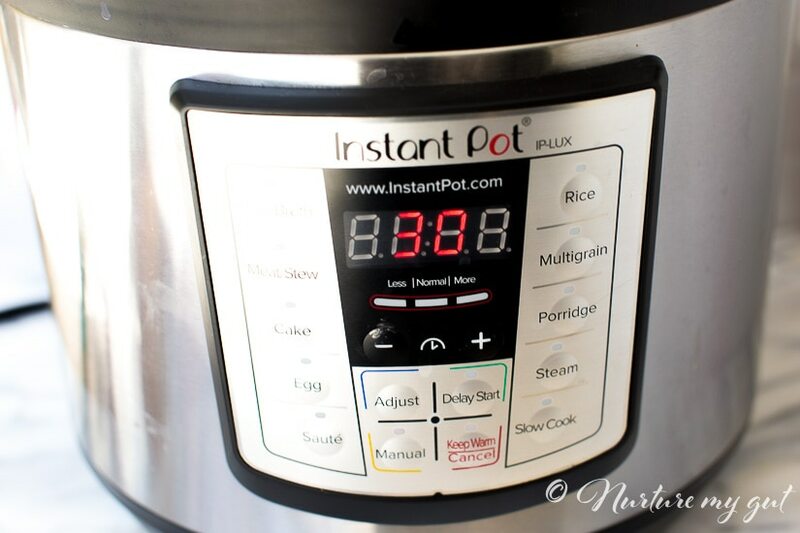 If you are new to the Instant Pot, this blog post is here to help, I took lots of pictures to share with you so you can see how easy it is to make! First, you will scrub, peel and cube your potatoes. 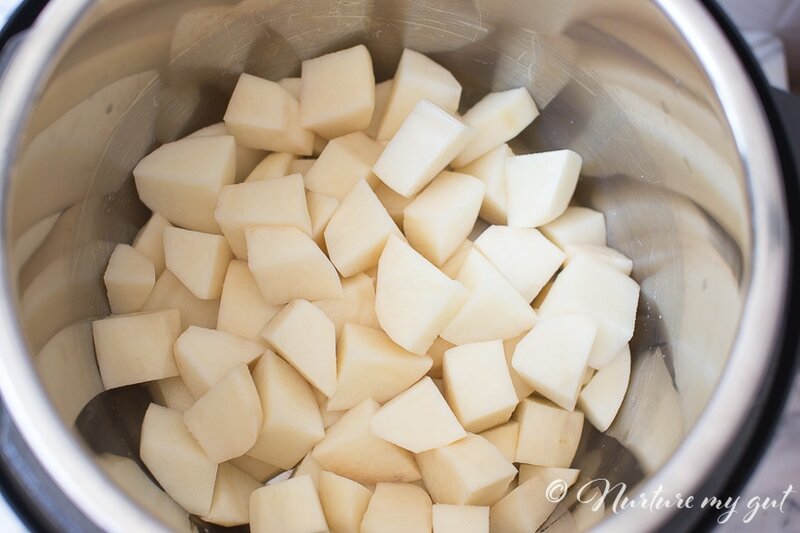 It’s okay to leave the potatoes in big chunks since the Instant Pot will make them fork tender. Place them in the bottom of the Instant Pot. I made extra mashed potatoes since my family LOVES mashed potatoes. We like to have mashed potatoes with my Cast Iron Grilled Chicken Recipe. You can feel free to cut the mashed potatoes recipe in half if you DO NOT want to have left over mashed potatoes. Second step is to pour a cup of water over your potatoes. Spread it all over so your potatoes don’t brown. Place the trivet on top. I am using the egg steamer but any trivet is fine. Making the meatloaf is easy! I use freshly grated zucchini and carrots instead of breadcrumbs to add moisture, flavor and nourishment. My son didn’t even notice or complain about the added veggies! I used 1 medium carrot and a small zucchini and grate on medium. Then I mix together the grated veggies, ground beef, BBQ sauce, egg and seasonings. 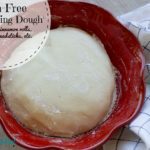 You can mix it with your hands, a dough whisk or in the Kitchenaid. Next, I placed the meatloaf into a small baking dish and formed a rectangle as best as I could. After that, I brushed the meatloaf with BBQ sauce. If you don’t have a baking dish, no problem, you can place your meatloaf into foil. Please note that if you are using one of those pans that snaps open, be sure to tent the bottom of your baking dish in foil so it does not leak onto your potatoes. The meatloaf will release a lot of juices so use enough foil to catch them. Once your meatloaf is formed, cover the top in foil. 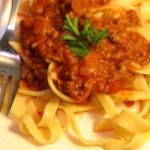 How long do I cook Instant Pot Meatloaf for? 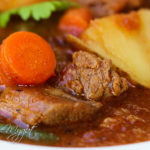 Set your Instant Pot to high pressure for 30 minutes. Place your Instant Pot knob on sealing mode. You will then use a quick release method. This means that as soon as your timer is done, use an oven mitt to turn the knob to venting mode. Make sure that the steam has enough room to vent and does not hit your cabinets! When the pressure is done, carefully open the lid and remove it AWAY from you. There is a lot of steam and you do not want it hitting your face! Now remove your baking dish and trivet carefully with an oven mitt or tongs. I found this a bit difficult even though I have small hands so I did a bit of research on this. 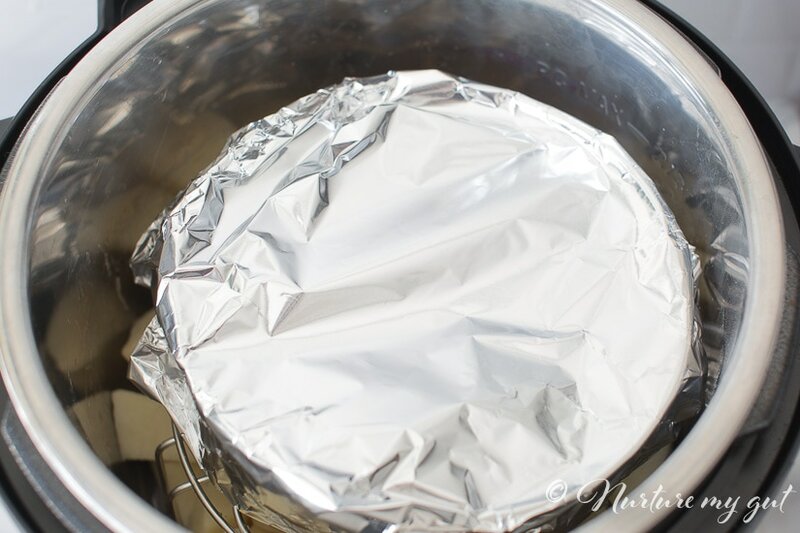 What I discovered is that some people create long strips of foil criss crossed under their trivet or baking dish to easily lift out the items. 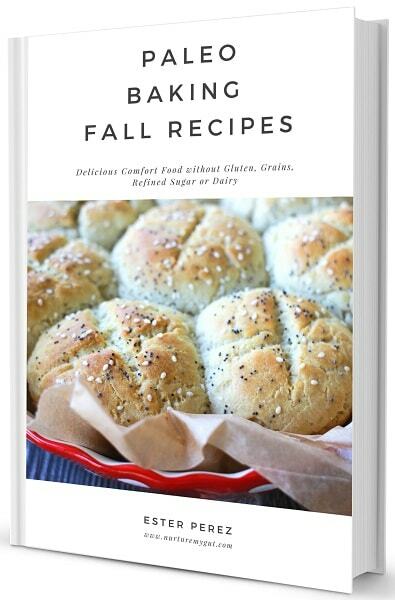 Next time I make this recipe, I will update you to let you know how that hack works out! Once I removed the foil off of my meatloaf, let me tell you, it does not look that pretty, but don’t worry, we will fix that! First of all, poke a sharp knife into the center of meatloaf to make sure it is cooked through or stick a thermometer into the center of the meatloaf. It should read 155 degrees. Now let’s make this meatloaf shine! Remove the liquid under the meatloaf, scrape off any foamy parts and place it on a baking sheet. Next, I then went ahead and brushed more BBQ sauce on top and broiled it on high for 5 minutes in the center rack. When it came out of the oven, the BBQ glaze was caramelized and it was completely transformed into a delicious looking masterpiece! I chopped some fresh parsley and garnished it on top. 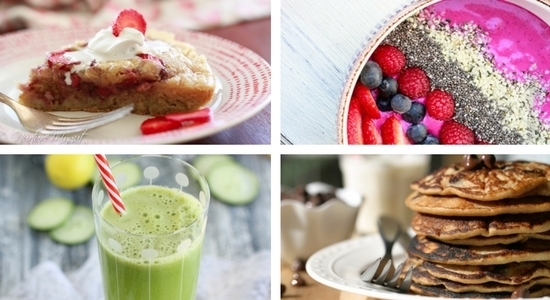 This looks and tastes fabulous! Now onto the Instant Pot Mashed Potatoes! For the potatoes I removed most of the water and then added butter, almond milk and seasoned with salt. 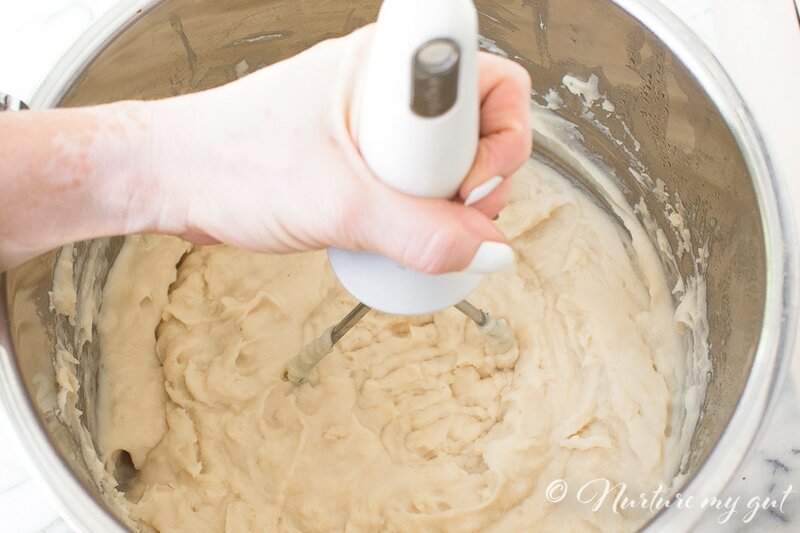 I used my potato masher to blend everything until it was smooth and creamy. You can make these to your liking and add your favorite ingredients like chopped fresh chives and pepper. My kids like this pretty basic so I add my pepper to my own plate. 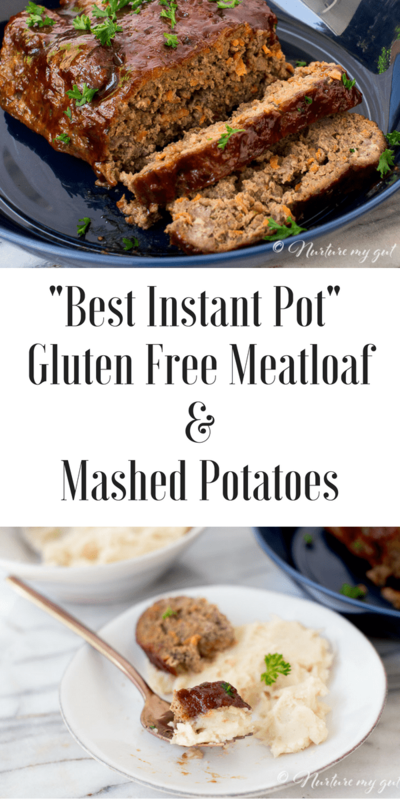 For dinnertime, place your Instant Pot Gluten Free BBQ Meatloaf and Mashed Potatoes on serving platters at the table. Slice your meatloaf with a serrated knife into 1” thick slices. This will make about 6 servings for 3 adults and 3 kids or 4 servings for 4 adults. 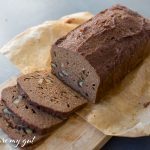 I am going to double the meatloaf recipe next time because leftover meatloaf really holds well in the fridge and tastes even better the next day! 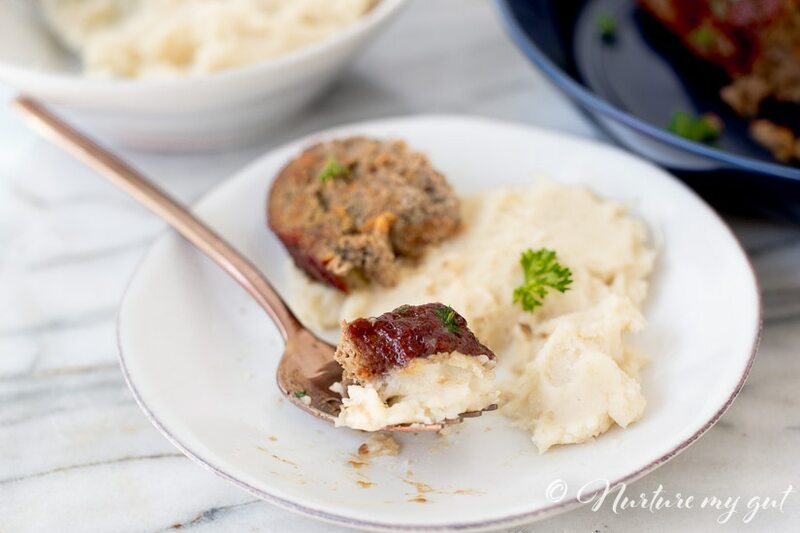 This Instant Pot Gluten Free BBQ Meatloaf and Mashed Potatoes recipe was so yummy that I know your family will love it as much as mine did! We even had a few guests over and they loved it! They were kiddos and they gave this a thumbs up! I really love that it has the added veggies and the meatloaf is fork tender and the mashed potatoes are so creamy and delicious! What a complete meal all in one! 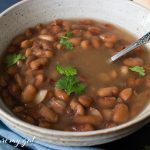 If you want more delicious Instant Pot Gluten Free recipes, check out my favorites: Instant Pot No-Soaking Pinto Beans and Instant Pot Best Tasting Chicken Soup! 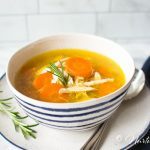 Be sure to subscribe to my free Instant Pot Gluten Free Soups & Stews ebook at the top of this post! 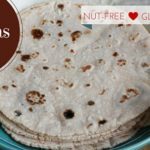 You will get instant access to my gluten free resource library and my weekly newsletter that includes a gluten free recipe and tips on gluten free living. Scrub potatoes. 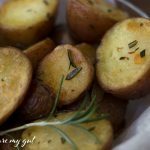 Peel and cube potatoes and place into Instant Pot. Cover with 1 cup of water. Place trivet over potatoes. Make meatloaf. 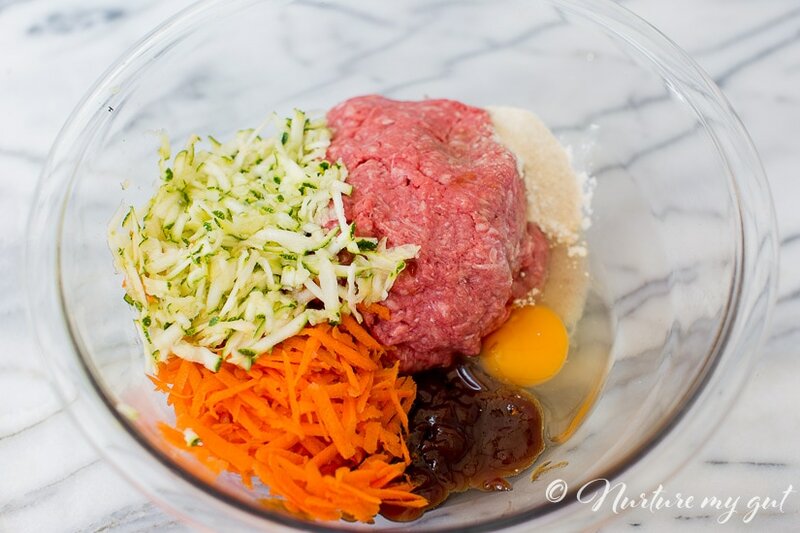 In a large mixing bowl, add ground beef, 1/4 cup BBQ sauce, egg, grated zucchini, grated carrot, garlic powder, onion powder and salt. Mix well. 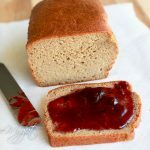 Pour meat mixture into a small baking pan and form meatloaf into an oval shape or rectangle shape. Spread 1 Tablespoon of BBQ sauce on top and cover with foil on the top. If you are using a springform pan, place foil under so it does not leak into your potatoes. Place pan onto trivet. Seal Instant Pot, set to sealing mode and place timer on high pressure for 30 minutes. 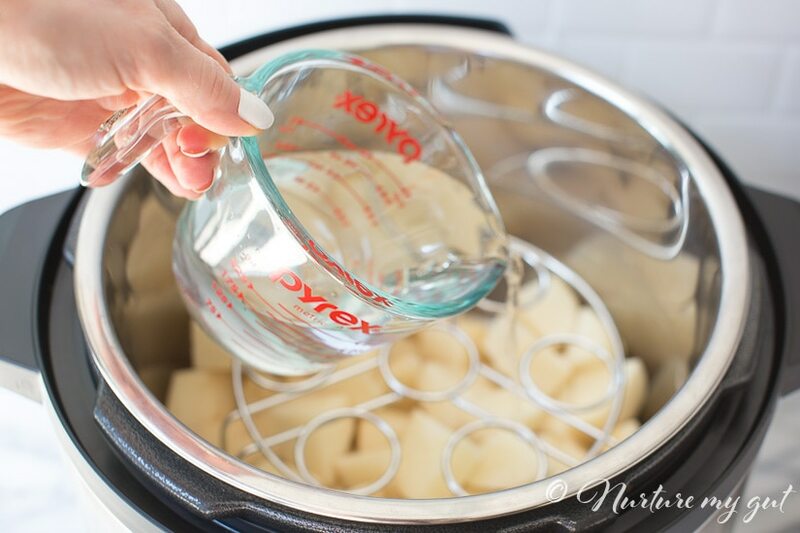 When Instant Pot is done cooking, use an oven mitt and use a quick release to allow steam to vent. 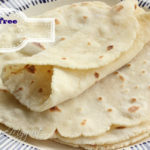 Remove lid and using oven mitts or tongs, carefully remove baking pan and trivet. Remove foil and drain any juices from meatloaf and scrape off any foam the meat may release. Poke a sharp knife into the center of meatloaf to make sure it is cooked through or stick a thermometer into the center of the meatloaf. It should read 155 degrees. 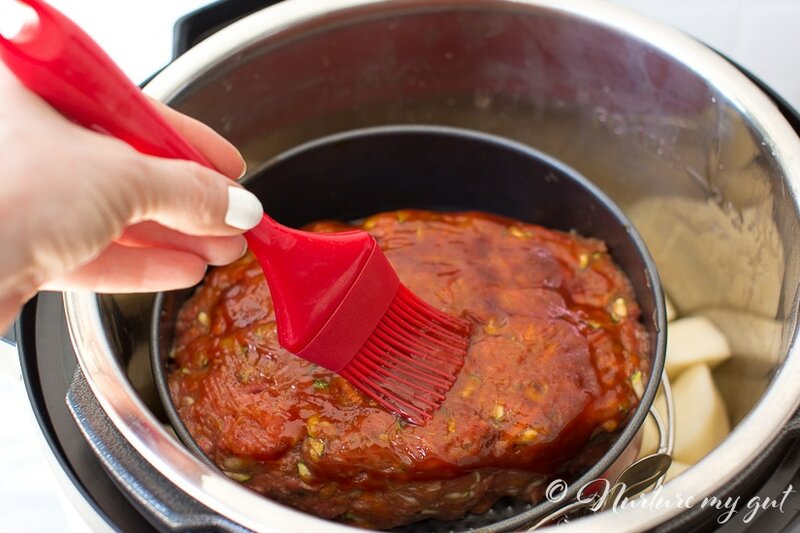 Place meatloaf on a baking sheet and brush 2 Tablespoons of BBQ over the top. Broil on high for 4 minutes in the middle rack. Take a peak every minute to make sure you do not burn your meatloaf. Meanwhile, make your mashed potatoes. Drain the liquid from the potatoes, add butter and almond milk. Mash with a potato masher or fork and season with salt. *This recipe makes a double batch of mashed potatoes because I love to have leftovers for the week. If you do not want leftover mashed potatoes, feel free to cut the Mashed Potatoes ingredients in half. What phase is this on for Plant Paradox? And does this mean that we can eventually add back in russet potatoes? Happy Baking and best of luck on your healing journey!